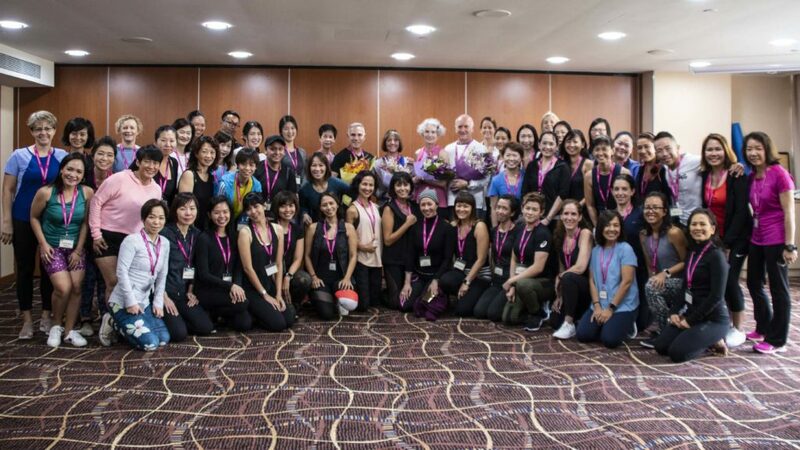 Big THANK YOU to our Master Instructors and wonderful participants for joining us in Singapore! To share the power and many positive benefits of the Pilates method to everyone. 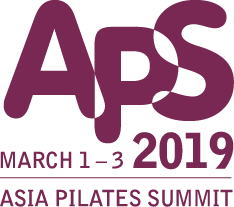 The creation of an empowering and inclusive educational environment for Pilates instructors and students rooted in the historical perspective and lineage of the Pilates method and it’s application in the modern world. 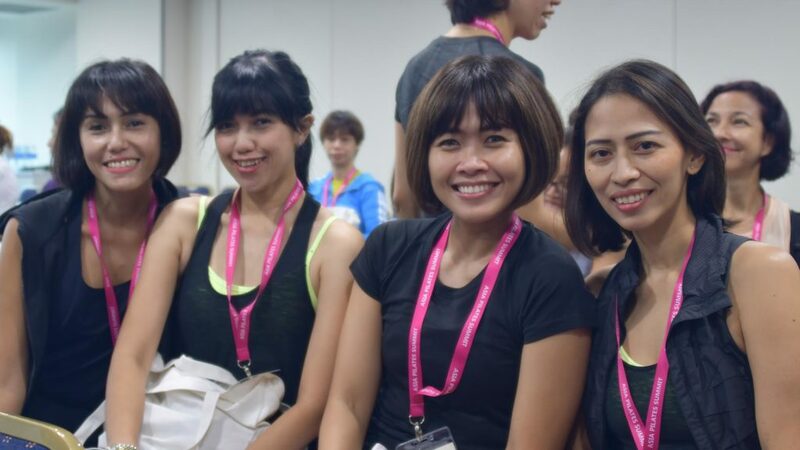 To set the standard of quality, affordable Pilates education for all. 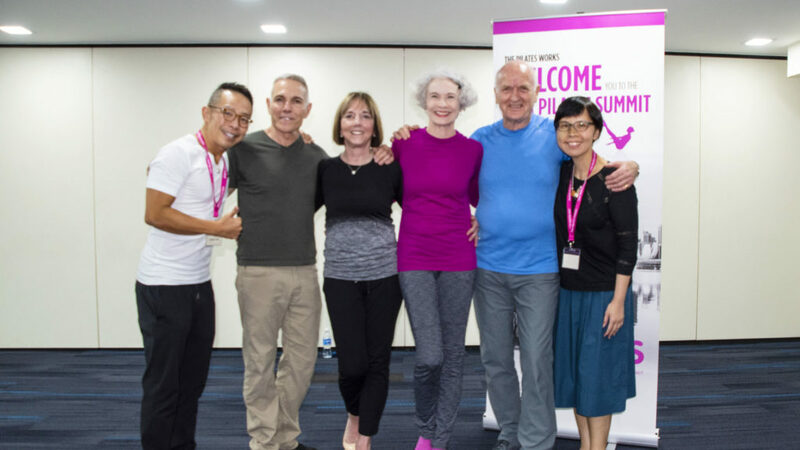 Learn from direct lineage leaders of the Pilates world. Each educator has direct lineage to the first generation of Pilates teachers of Joseph Pilates. 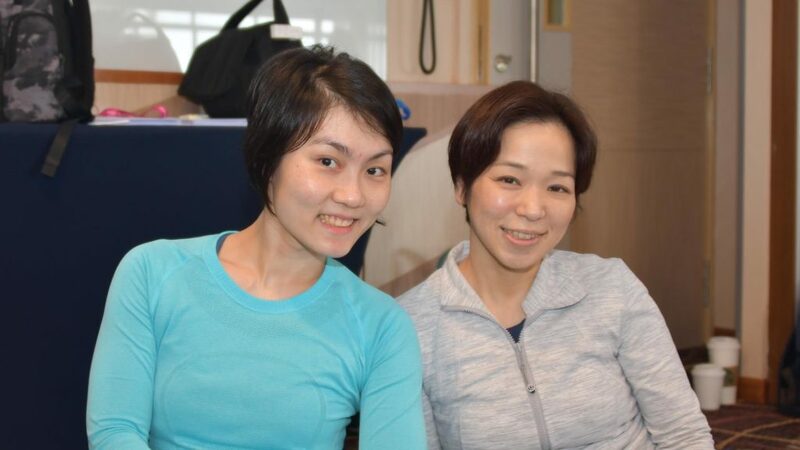 They will share their philosophy and practices of Pilates education. 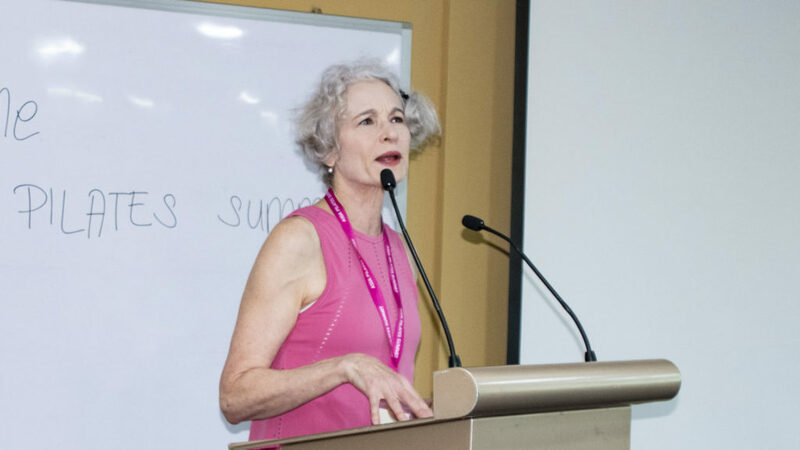 This comprehensive 3-day conference will deliver content-rich workshops presentations for your deep learning and rejuvenation. 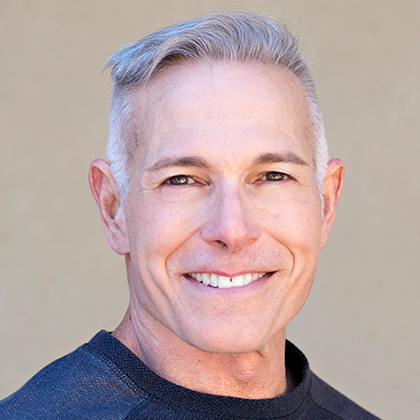 Kevin has been involved in the health and wellness profession since 1988. 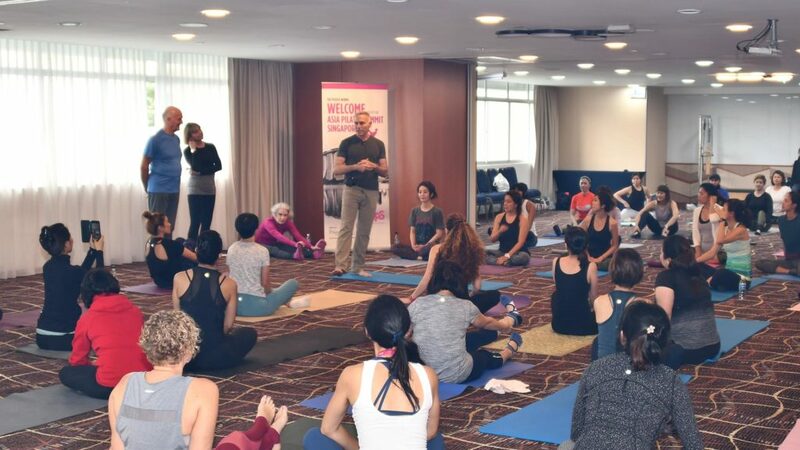 He was the co-founder of the Pilates Method Alliance (PMA) and the Pilates Miami studio, and he also consulted with various Pilates and fitness businesses. 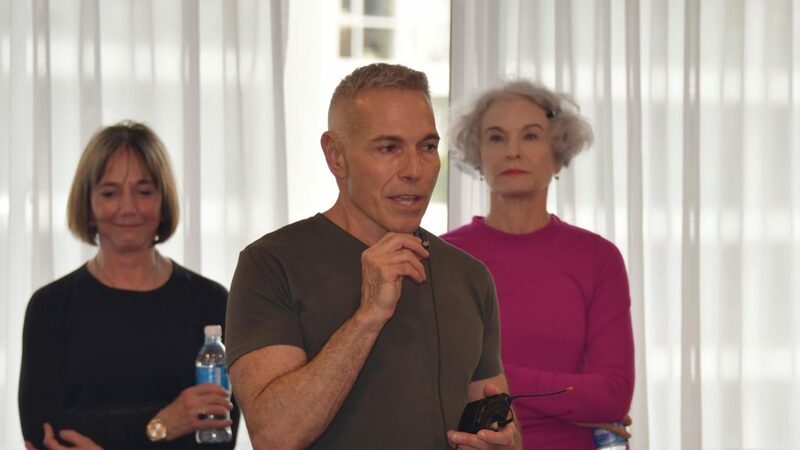 Currently, Kevin is the owner and Director of Core Dynamics Pilates, a comprehensive Pilates Teacher Training Programme based on the Eve Gentry’s teachings. 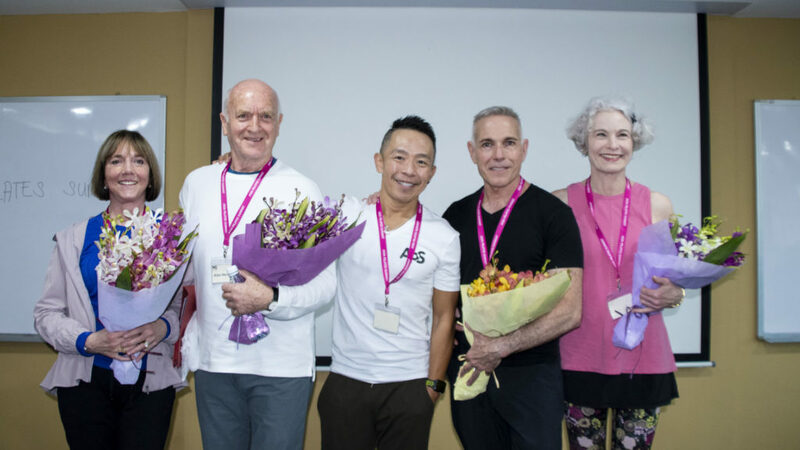 He recently founded The Pilates Initiative, a not-for-profit organisation whose mission is to make Pilates accessible to everyone. Pat is a Master Teacher and published author. 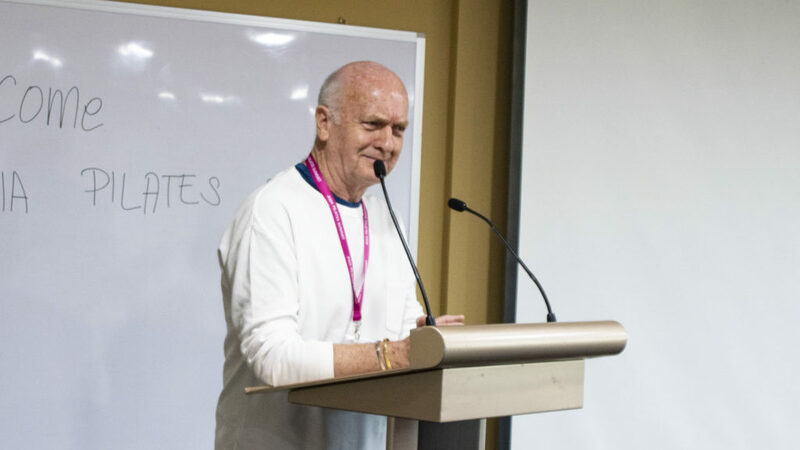 Pat had the fortune to study extensively with Ron Fletcher, one of the First Generation Master Teachers, for over eleven years. 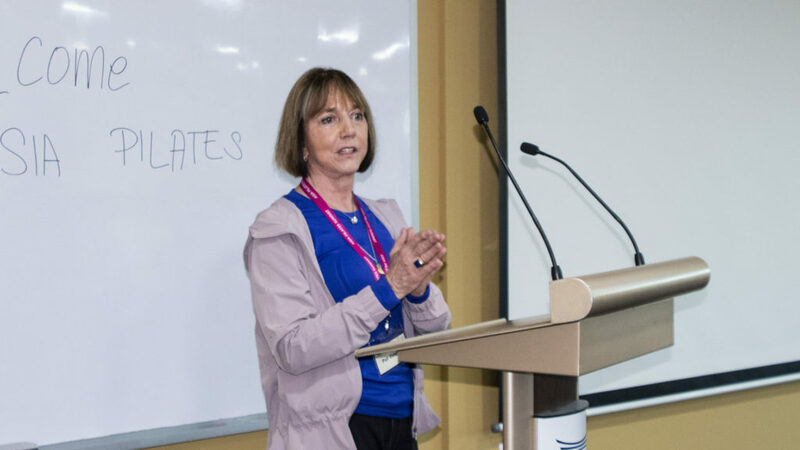 She is a featured speaker at the American Academy of Osteopathic Medicine convention and Pilates Method Alliance Alumni Board Member. 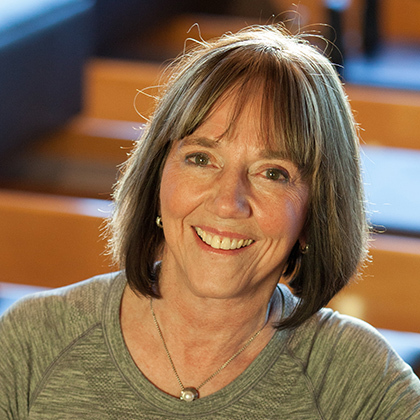 Formerly a registered physical medicine assistant and United States Gymnastics Federation Assistant Director, she now runs a Pilates studio in Boulder, Colorado - Pat Guyton Pilates Inc and its training arm, Pilates Conservatory. 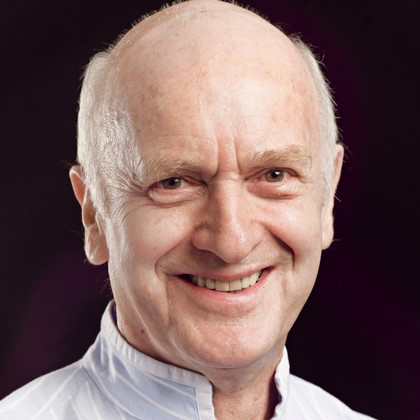 Alan Herdman began his career in dance, studying at the London School of Contemporary Dance and worked as a dance and teacher. 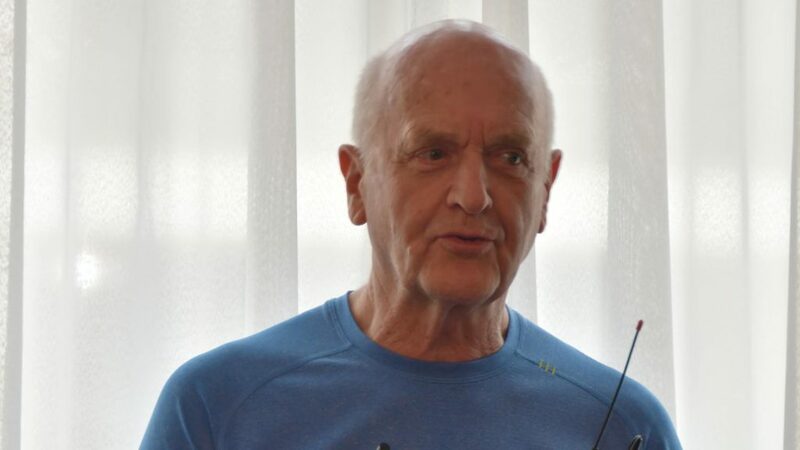 In the late 1960s, he trained in New York with Carola Trier and Bob Fiztgerald two instructors who have been trained by Joseph Pilates himself. Alan returned in 1970 to set up Britain’s first-ever Pilates studio. Among his first clients were actors, dancers and singers, but word soon spread as doctors and physiotherapists began recommending Pilates to patients struggling with chronic injuries. 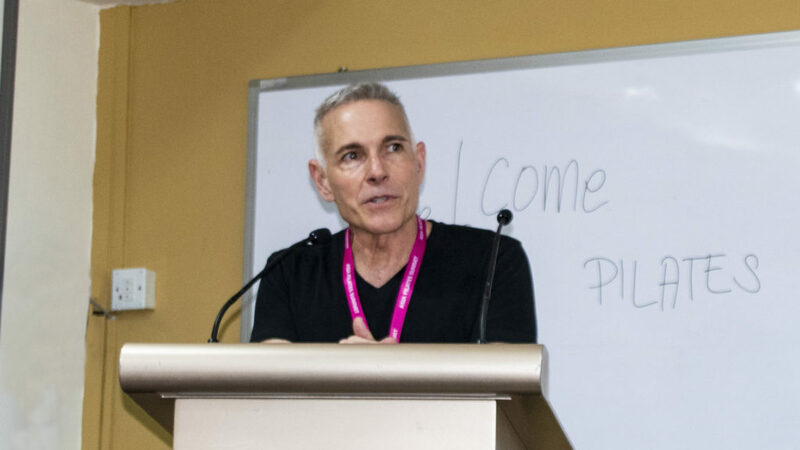 Alan now lectures on Pilates around the world, and he has written successful books, including The Pilates Directory (2004), The Gaia Busy Person’s Guide to Pilates (2013), Pilates for Men (2007) and The Complete Pilates Tutor (2014). As well as running his own studio, Alan and his assistants also teach in dance schools and designated Pilates studio internationally. 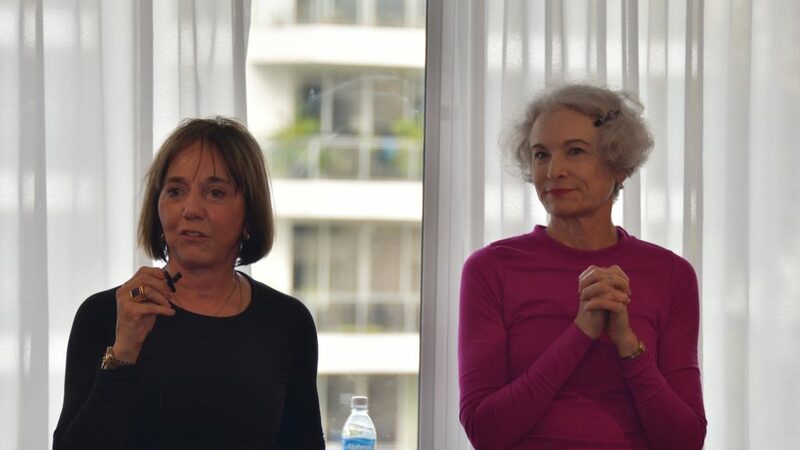 Jillian traces her Pilates lineage back to Joseph Pilates himself through her teachers Kathy Grant, Carola Trier, and Ron Fletcher, who learnt directly from Joseph Pilates at his original studio in New York City. 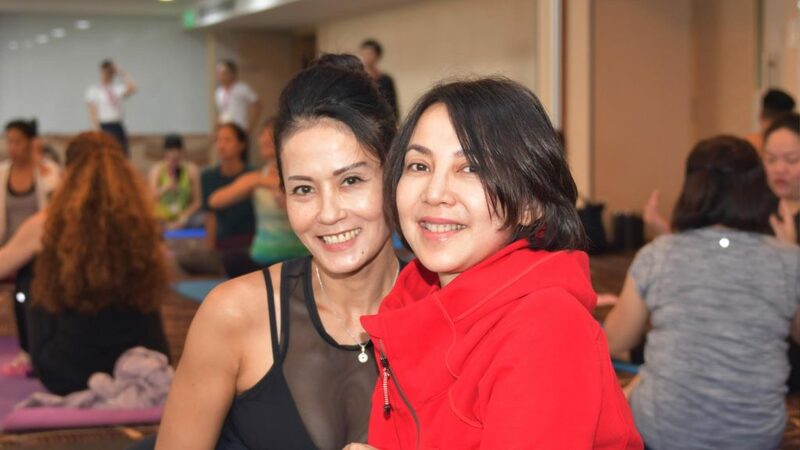 She has trained and certified many Pilates teachers over the years. 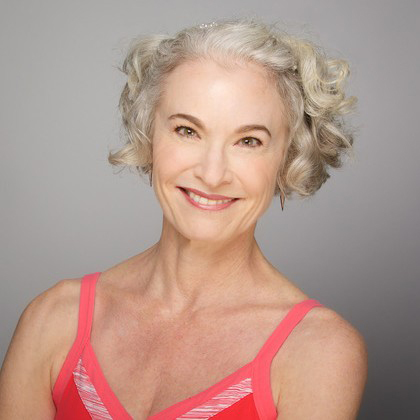 As a faculty member, Jillian taught Pilates to dance students at the California Institute for the Arts from 1993 to 2005. 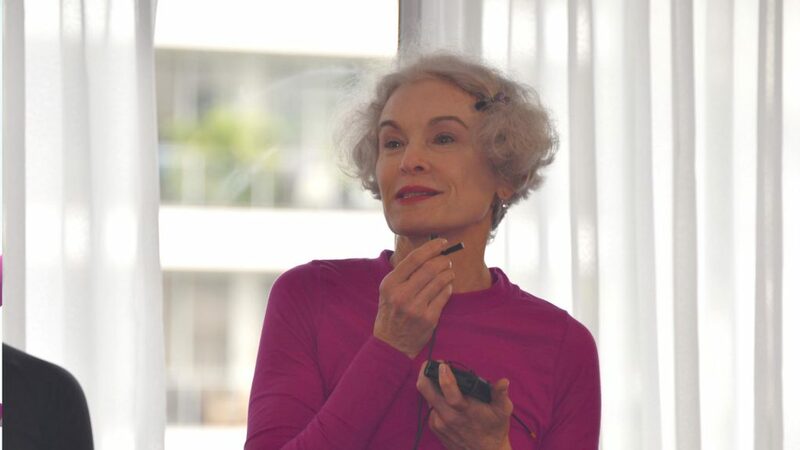 She is also a regular presenter at the annual Pilates Method Alliance. Jillian developed her own approach to teaching Pilates B.E.A.M Technique. 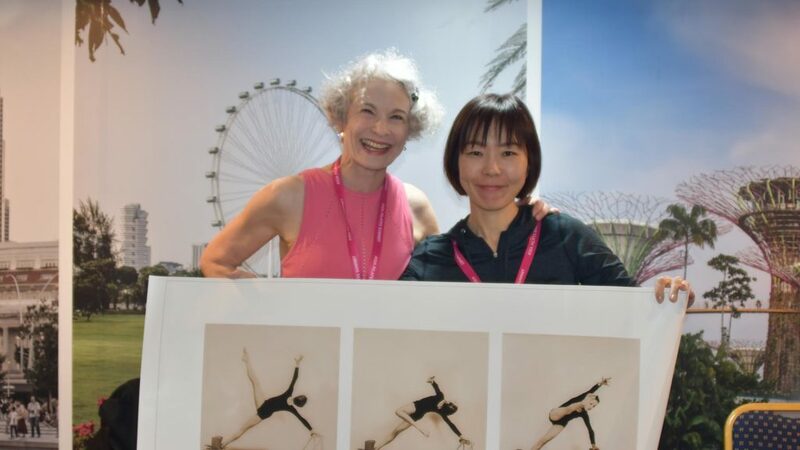 She is a much sought-after presenter at fitness conventions in USA and around the world, as well as a contributor to many publications on Pilates. She has also worked with celebrity clients such as Cher, Holly Hunter, Emma Thompson, and Heather Graham. Jillian also has a myraid of exercise DVDs and author of “Pilates for Beginner. Seminar style inclusive mix of lectures and practicals. 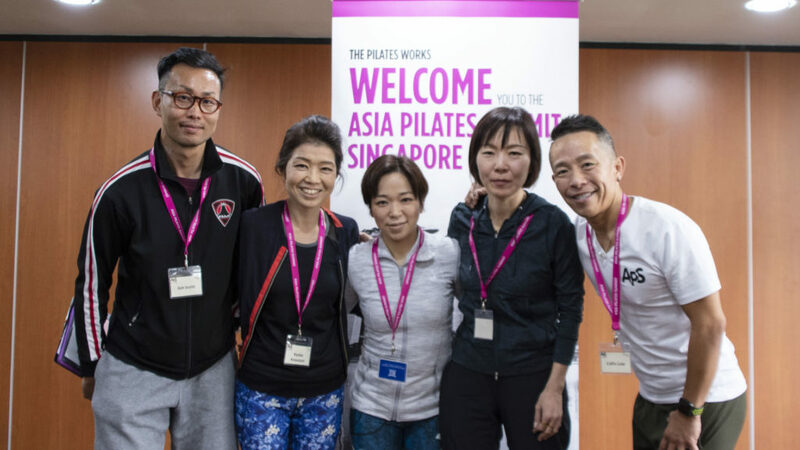 The Pilates Works is one of the most prominent studios in Singapore, and the love-child of Collin Low, who is the Protégé of Pilates Master Teacher Alvin Giam (1955-2015). 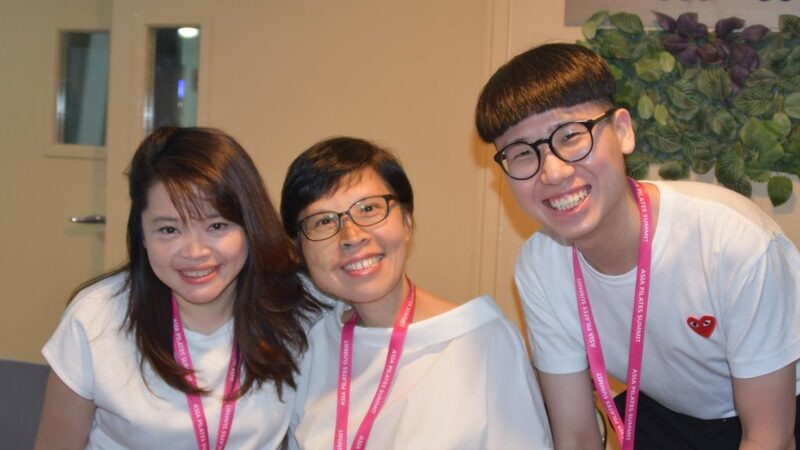 Master Alvin single-handedly started the pilates movement in Singapore and was also a great influencing teacher in Asia. 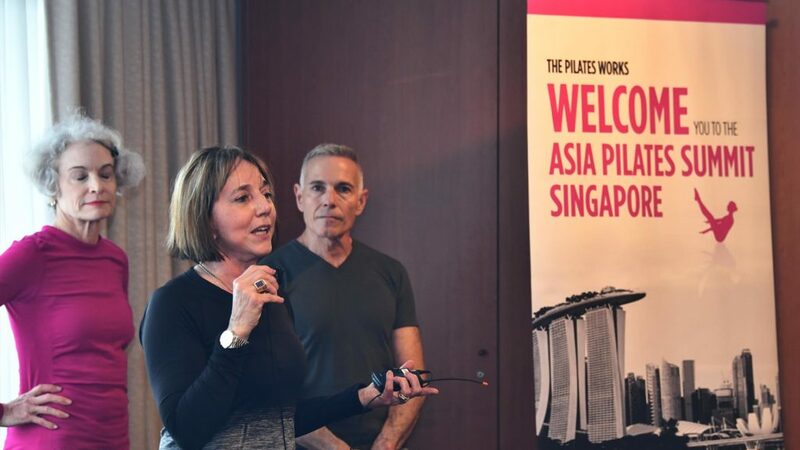 His Pilates Bodyworks was the first pilates studio in Singapore. The late Master Alvin studied with Joseph Pilates's students Pilates elders Mary Bowen and Ron Fletcher as well as the 1st and 2nd generation students of Pilates elders Eve Gentry, Diane Miller, Michele Larsson and Pat Guyton. Collin was schooled and groomed under the careful tutorship of Master Alvin for close to a decade, and ran the Bodyworks almost as long as it has been there with Alvin. Post Alvin's passing, Collin transited and continued Alvin's legacy under The Pilates Works. 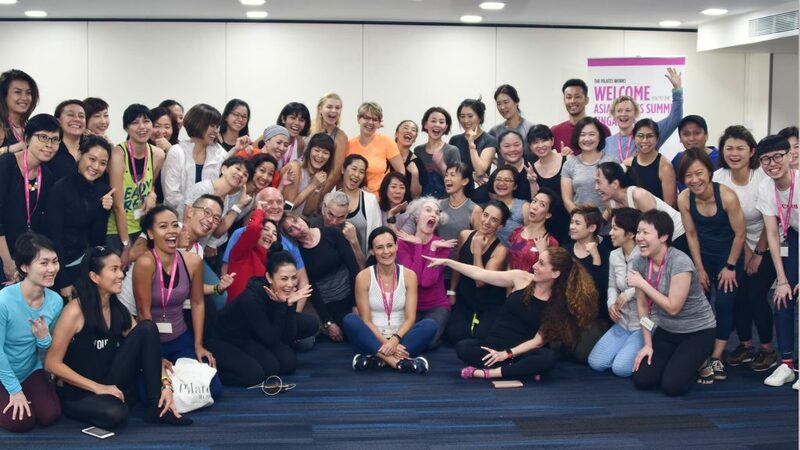 The Pilates Works provides Pilates Teachers Training Program from Core Dynamics, a high-quality boutique-style, individualised training program based out of USA. 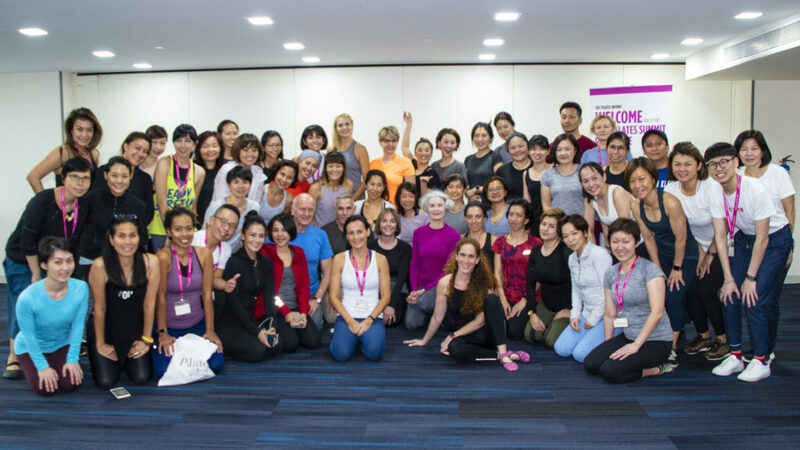 Core Dynamics Pilates Teacher Training was created by Michele Larsson in 1996 to carry on the development of the Pilates method of Pilates First Generation Teacher – Eve Gentry. Today it is owned and ran by its Program Director Kevin A Bowen. 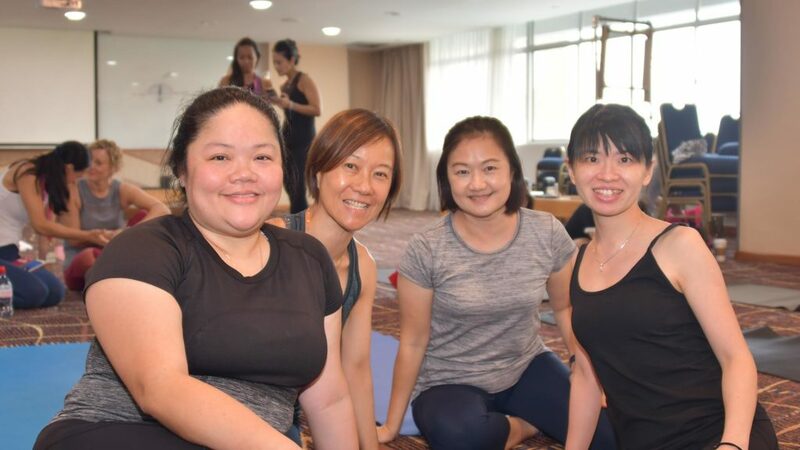 The Core Dynamics Pilates Teacher Training Program places its focus on developing students to embody the Pilates method, understand human movement and to teach the Pilates method correctly to a wide variety of clientele versus just teaching the exercises or just leading classes. 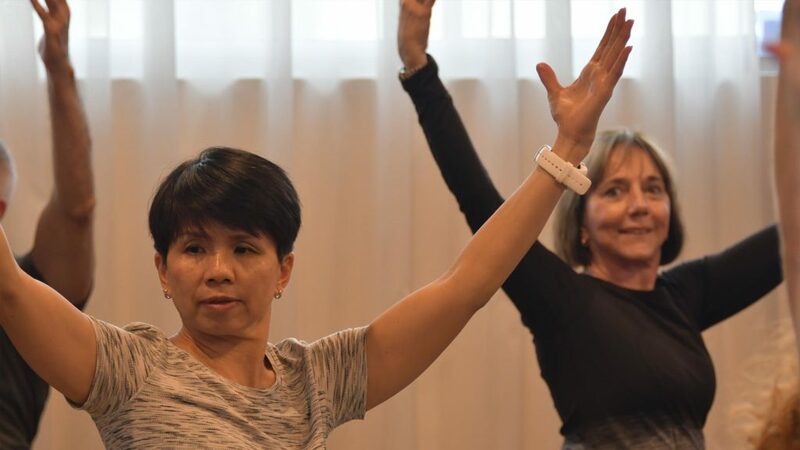 Core Dynamics offers a specialized ’boutique’ program rooted in historical Pilates, and updated with current safety, efficacy and bio-mechanic developments in human movement. It offer small class size, individual attention, mentorship experiences and a highly qualified affiliate studio network. 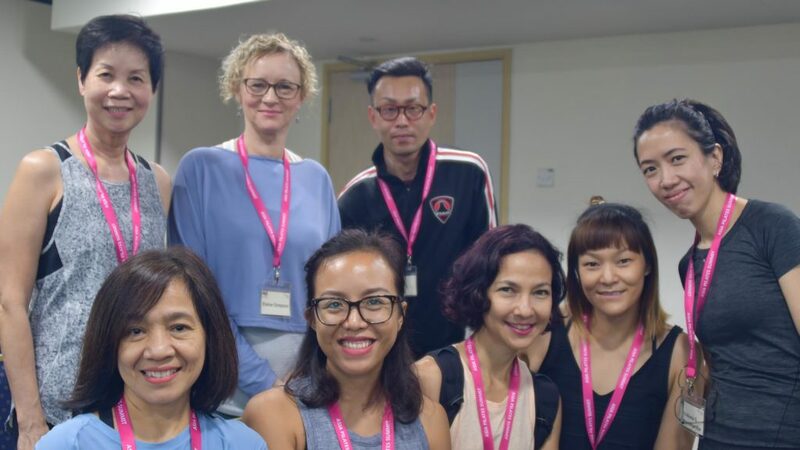 In line with its aim of elevating and promoting Pilates education, The Pilates Works organises workshops for Pilates teachers and educators. 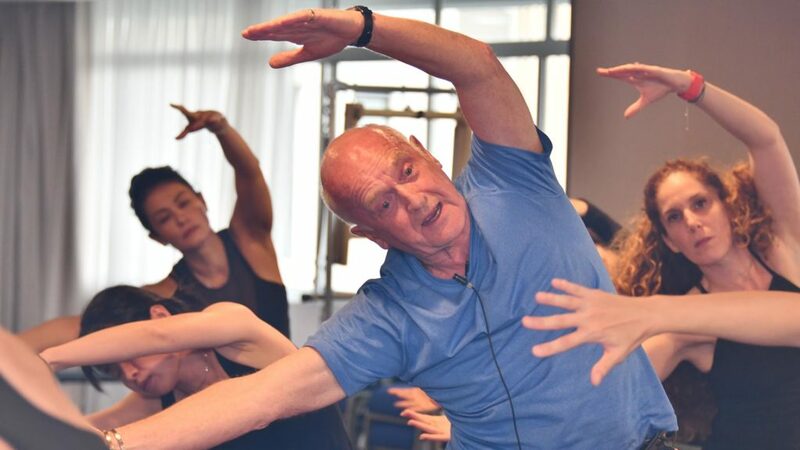 Prolific Master Trainer Alan Herdman, one of the most well-known Pilates pioneers of UK Pilates movement, as well as Kevin A Bowen of Eve Gentry's lineage and Core Dynamics, are frequent workshop instructors. 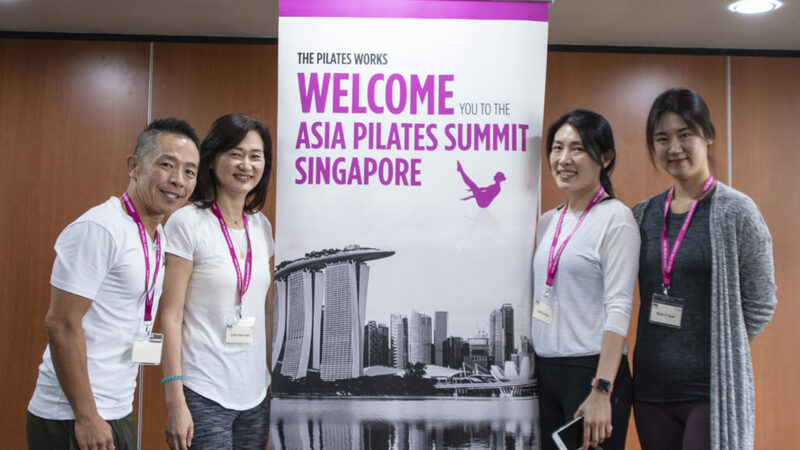 The Pilates Works is honoured to host the first inaugural Asia Pilates Summit in Singapore. 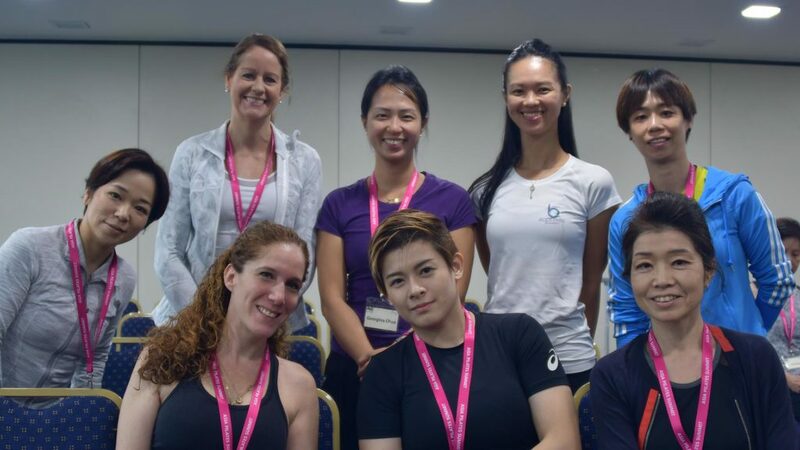 For our profile and studio information, pls visit us at pilates.com.sg. 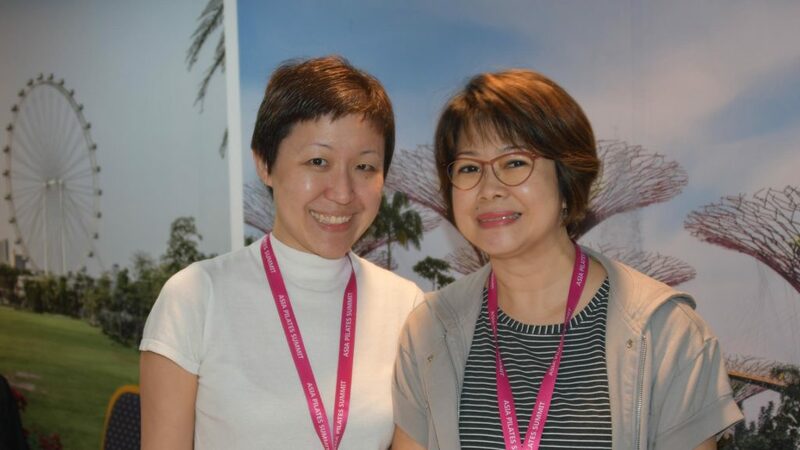 We welcome you to visit our studios while you are here in Singapore. 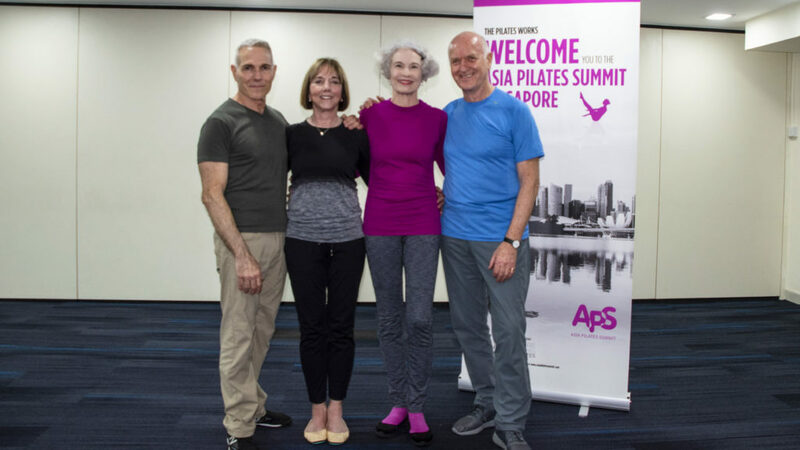 Copyright 2018 Asia Pilates Summit. All Rights Reserved.